This was my last project which I left in 1998 as a direct result of a reform of the Bugaloos. 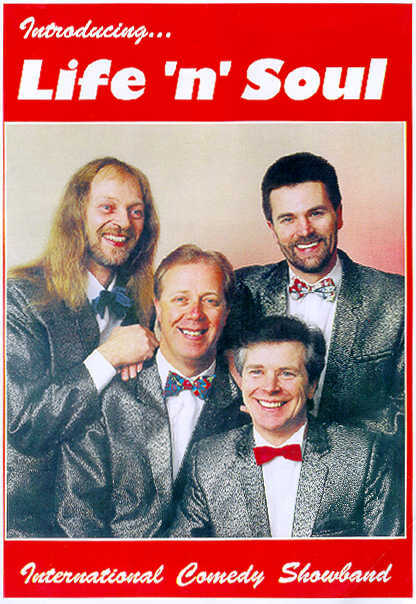 I joined this comedy band in 1992 after my last visit to Capetown, South Africa where I appeared in a Musical. A friend of mine asked me to join while I was 'resting'. We took this show everywhere and performed in many continental and European countries. It was good fun and I got to see the world. Copy from Life N Soul color brochure.